We’ve done so many of these but we haven’t really dug into your fandom as much. With this book you go over a lot of the characters in the MCU and you get to summarize them, as we’ve gotten with Star Wars etc so let’s dive into some of your fandom! Who is your favorite Marvel character IN the MCU? That’s a hard choice. My favorite Marvel character is Spider-Man, my favorite team in the MCU is the Guardians of the Galaxy. But thanks particularly to Ragnarok, my favorite MCU character right now is Thor. Who is your favorite marvel character you’d love to see in the MCU? Maybe Nova—Sam Alexander. He’s a cross between Spider-Man and Guardians of the Galaxy. Throughout your research, knowing Marvel likes to do some deep cuts, what is a little known character you’ve discovered that you’d love to see in the Marvel universe? Perhaps Cosmo, the K9 cosmonaut. He’s already had a cameo of sorts, but we haven’t seen who he is as a character yet. He’s quite colorful in the comics so I think he’d be fun. Is there a comic book arc that you’d love to see adapted in some way? There are so many good ones to choose from, I don’t think I could settle on one in particular. Fans tend to gravitate to characters based on their look, that is why Spider-Gwen became so instantly popular, her costume was instantly a classic, what is your favorite Marvel character look (we’ll go LIVE ACTION and COMIC if you have trouble)? When writing this book was there anyone who you were especially excited to make sure fans knew more about? Perhaps a little know MCU character you got to add in or maybe a misunderstood one? It was fun to add lesser-known characters like Batroc the Leaper (Captain America: Winter Soldier) and characters that don’t get a lot of attention, like Christine Everhart. To some extent though character choices are limited by the availability of appropriate images for the lower-tier characters. Also you mentioned Hela, when it comes to villains the MCU has usually come up wanting, in the fans eyes, and Kevin Feige has stated that is because their films are about the heroes not the villains. Who is your favorite villain in the MCU and who is a villain that you wish they could have done a little more with? [SPOILERS] Hela is probably my favorite. Who doesn’t love Cate Blanchet? I was actually there for the Hobbit World Premiere in Wellington and can tell you she is just as radiant and captivating in person as she is on-screen. I have high hopes she may return in End Game—she would be a good fit for Thanos, given his infatuation with lady death in the comics. Red Skull is a great villain too, so I’m happy he could return in Infinity War. I thought Jude Law did a fantastic job too (he always does), so I look forward to the possibility of his return in Captain Marvel 2. With these MCU books, have their ever been discussions to add in more from the TV side, be it Inhumans, Agents of Shield, Agent Carter, or the Netflix shows? Sadly that’s not an option at this point. I am a big fan of Agents of Shield (I’ve not seen Agent Carter yet, though I very much want to), and the various Netflix Marvel series (especially Daredevil—I’m still mourning the show’s cancellation). 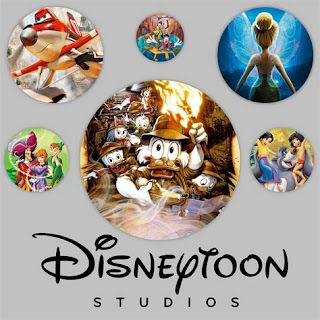 DK’s books are strictly about the Marvel Studios (MCU) franchise, which is entirely separate from the Marvel Television series on various networks and streaming services. I think those operate more like parallel Marvel universes. The MCU may influence the past and present TV series, but they don’t influence the MCU at all. It sounds like this will change with the Disney+ streaming service though—my understanding is that those new shows are created by Marvel Studios and are indeed integrated into the MCU. So, hopefully that new streaming content will be available for future books (I hope)! One cool advantage of writing books like these is you can get the high res imagery and be able to look at a character up close and personal (costumes etc). Is there any characters costume or look that at first glance people may dismiss but you think deserve a closer look to really appreciate the details? There are actually advantages and disadvantages that I have as the writer. The publisher may have the hi-res images, but usually I’m working with a low-res version for reference. So I’ve got to go to the blu-rays or scour the internet for publicity photos to get a closer look, or see things from other angles. Marvel costumes are really amazing though. My favorites are the ones from the Thor movies, Captain America and Black Panther. The costumes from these movies, which are grounded in real-world cultures and history are the most fun for me to research because I can get very specific and technical with my details. I do like inventing new information, but when I can sleuth something out and be dead-accurate, it is really gratifying. There is so much detail to reference, from the fabrics to the weapons and accessories, to clothing and equipment brands and their unique features. I found the Guardians section kind of lacking. I was hoping you could give us a lot more looks or details about the various ravagers we saw (especially at the end of Guardians 2). While there is Martinex (Michael Rosenbaum’s character), why nothing about Michelle Yeoh’s character or Slyvester Stallone's? Was that ever in the discussion or perhaps future talks? Why Martinex and not the other 6 or so we saw just as quickly? I would have loved to have included the characters you mentioned as well. All those examples come down to choices made by Marvel. I hope in the future Marvel will make the other characters available. Was there a character you really wanted to include but could not find a satisfactory photo for? (Which would surprise me because Marvel seems to document things rather well and there are a lot of those costume test photos etc)? 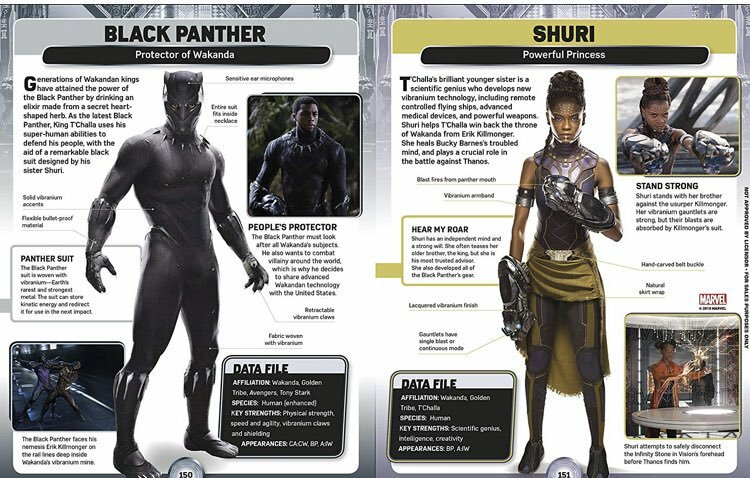 I don’t choose the photos myself in the Marvel Studios books (not yet anyway) so all that comes down to discussions between Marvel and the publisher. These are visually-driven books, so the availability of licensed photos is the biggest determining factor in what we can include. That’s all between the publisher and Marvel. I’d certainly love to do a second edition in the future, but I don’t know what plans there might be. DK does have a habit of updating their most popular books. The Disney acquisition of FOX is very exciting. I don’t know what it means for the future, but of course I’m hopeful it means more characters and franchises to play with. 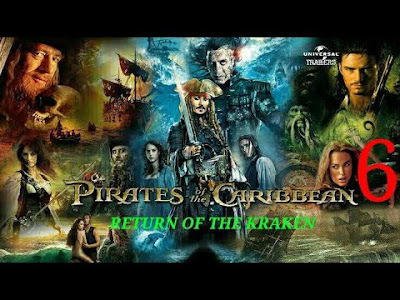 Whether they remain separate universes or merge them down the road is the big question and remains to be seen! 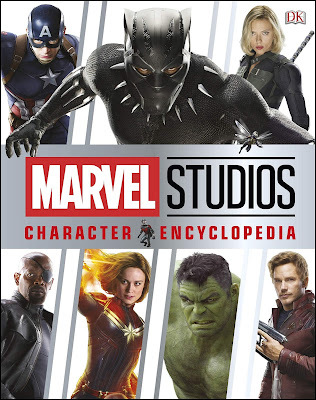 Marvel Studios Character Encyclopedia is available wherever books are sold starting April 2!